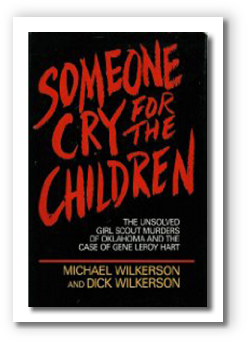 Wilkerson write what became essentially the only book widely published about the case until the McCoy book in 2011. 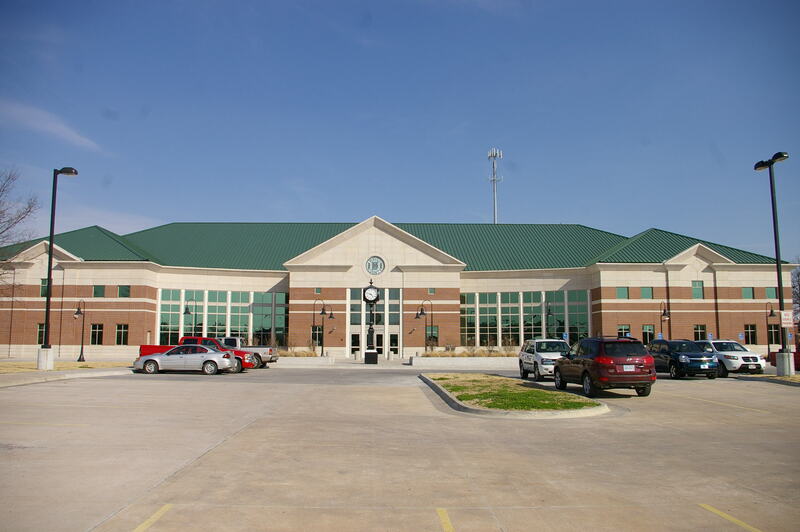 The new Mayes County Court House was opened in 2005. 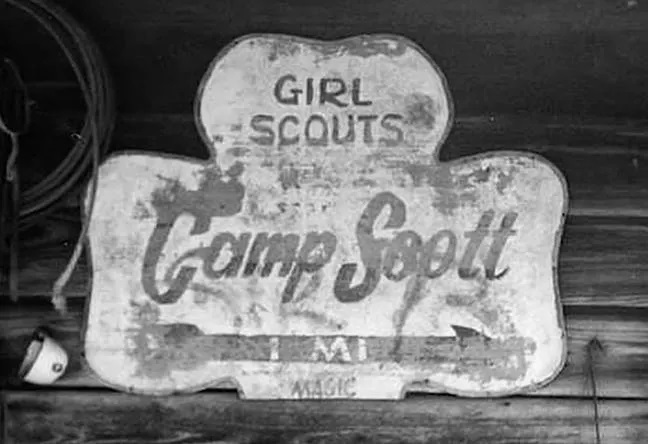 The property which was Camp Scott was sold to the Rowland family. 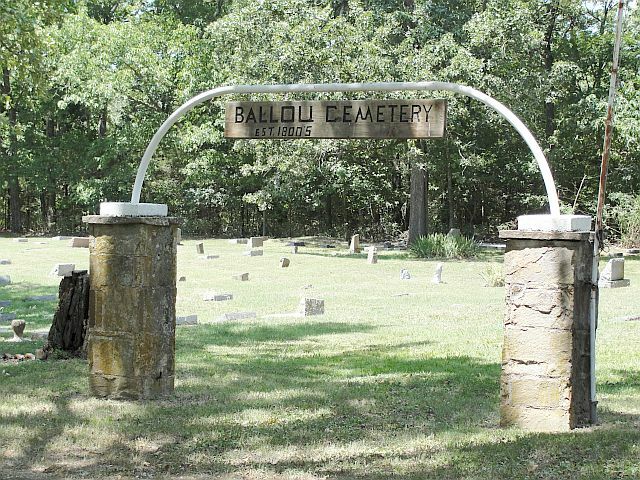 They made an attempt to open a ranch and camping area for the public. 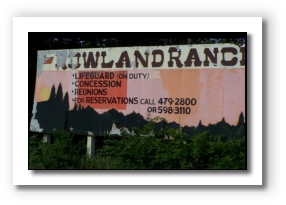 Of course all of the facilities were there for such a venture; a nice pool, kitchens, hiking areas, showers, etc. 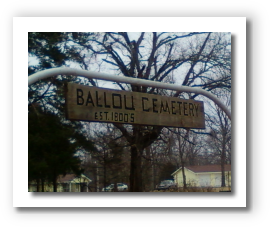 As you can see by the sign which still stands on state highway 82, the venture was short lived. 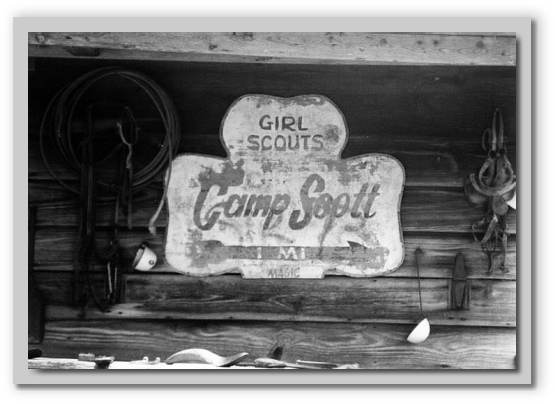 Not many campers wanted to come and spend their time at the former Girl Scout camp. 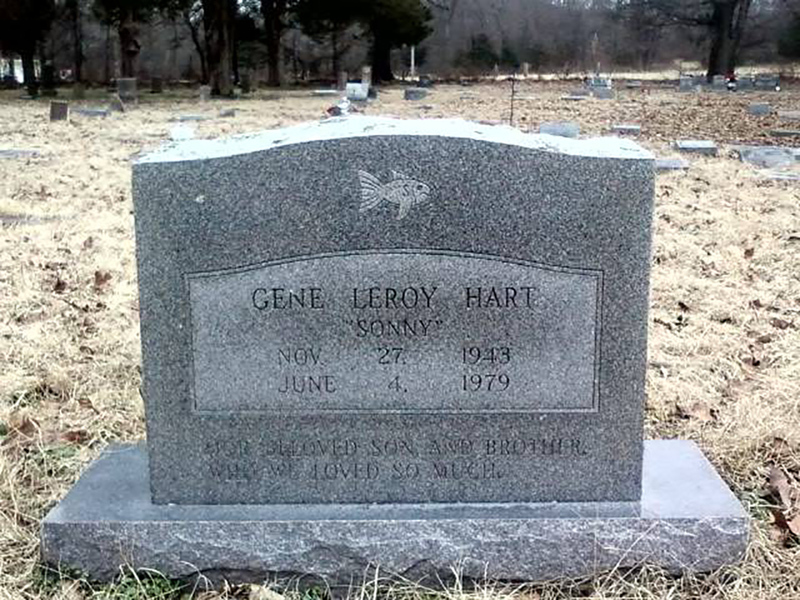 The property is still privately owned. 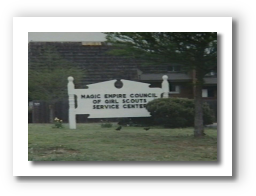 The photo (above right) shows the entrance to the camp today compared to 1977. 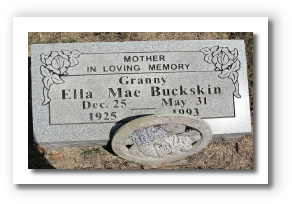 Ella Mae Buckskin gave an interview to the Tulsa World about 5 years after her son's death. 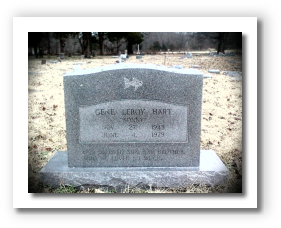 Mrs. Buckskin died in 1993 and she is buried right next to her son, Gene Hart in Ballou Cemetery. 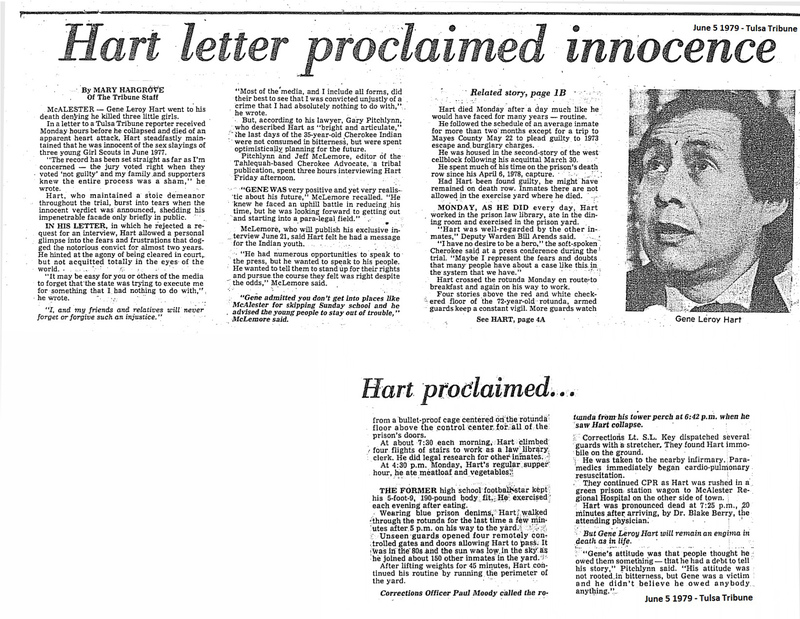 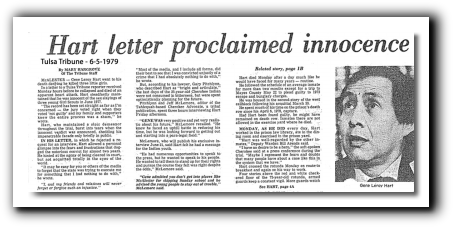 Letter written by Hart shows that he actively maintained his innocence after returning to prison. 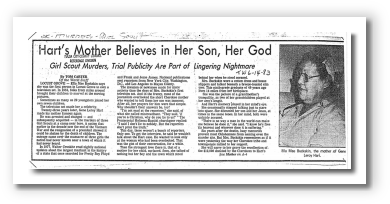 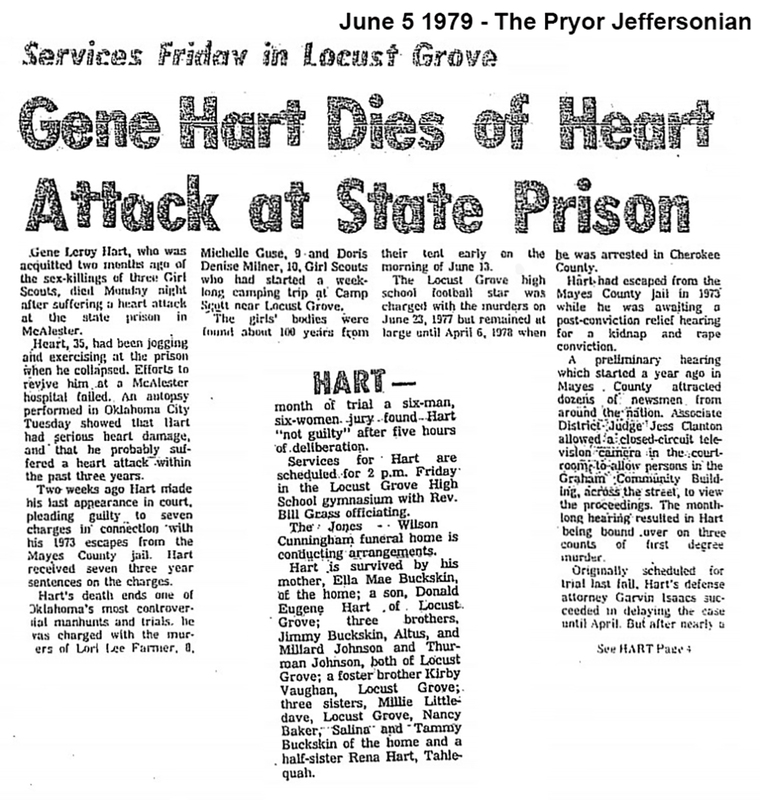 This article from the day after his death. 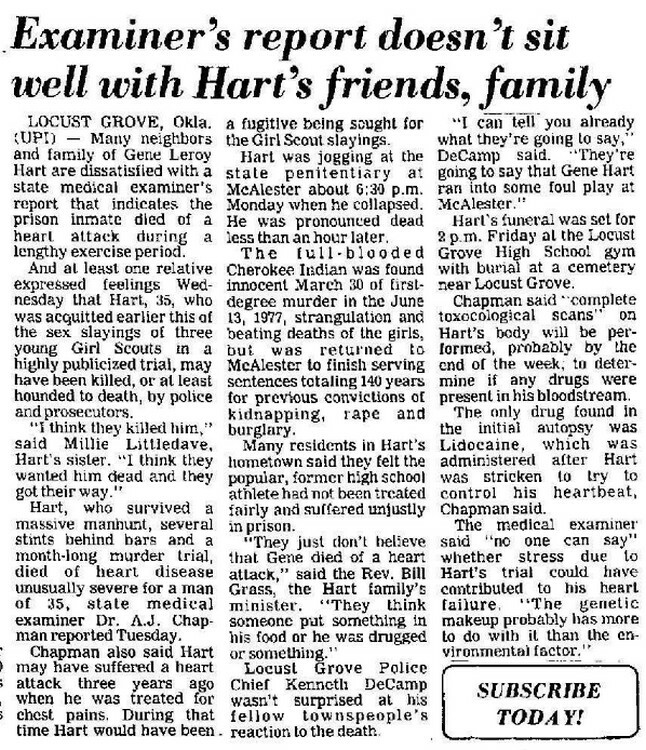 There were some significant questions about foul play involved in the sudden death of the relatively young Gene Hart. 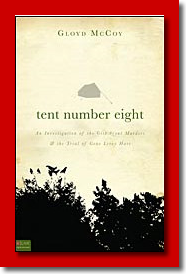 Tent Number 8 by Gloyd McCoy - released June 15th 2011. 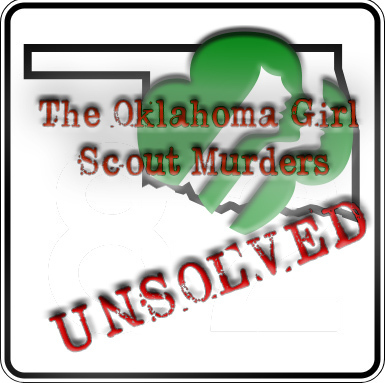 Click the book to be taken to the Tate Publishing store to buy a copy. 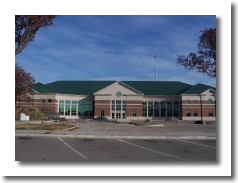 The former Mayes County Court House, in which the Hart trial was tried, was torn down and this new courthouse was opened in 2005. 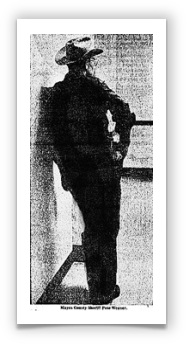 Sheriff Pete Weaver takes a moment alone after hearing the verdict of the court in the Hart case. 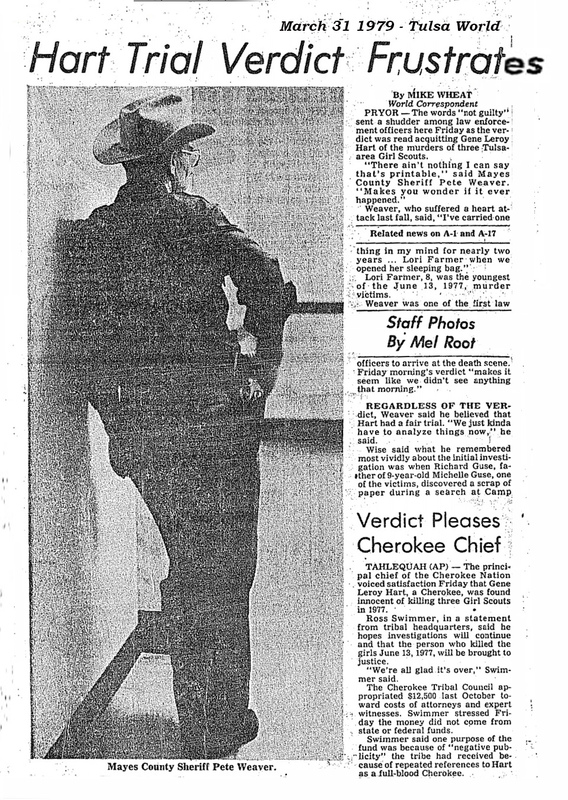 Click the picture to read article about the feelings of law enforcement after the trial. 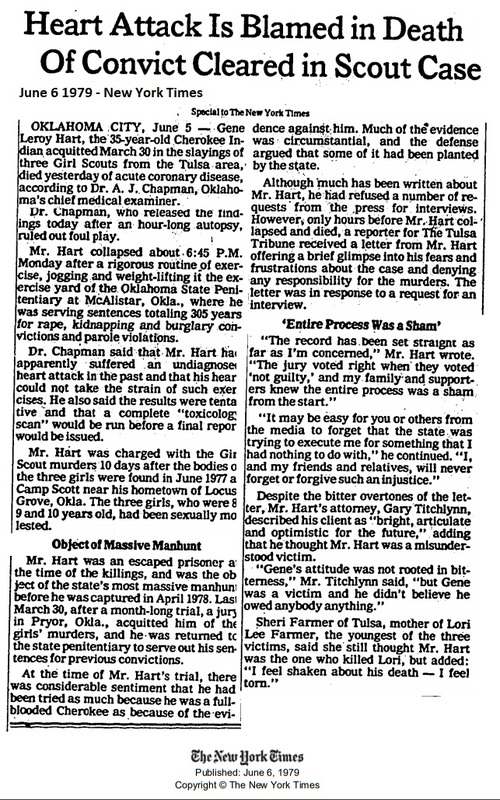 Future Governor of Oklahoma, Frank Keating, was a state senator at the time after the trial and he called on the OSBI to continue the investigation since Hart was acquitted. 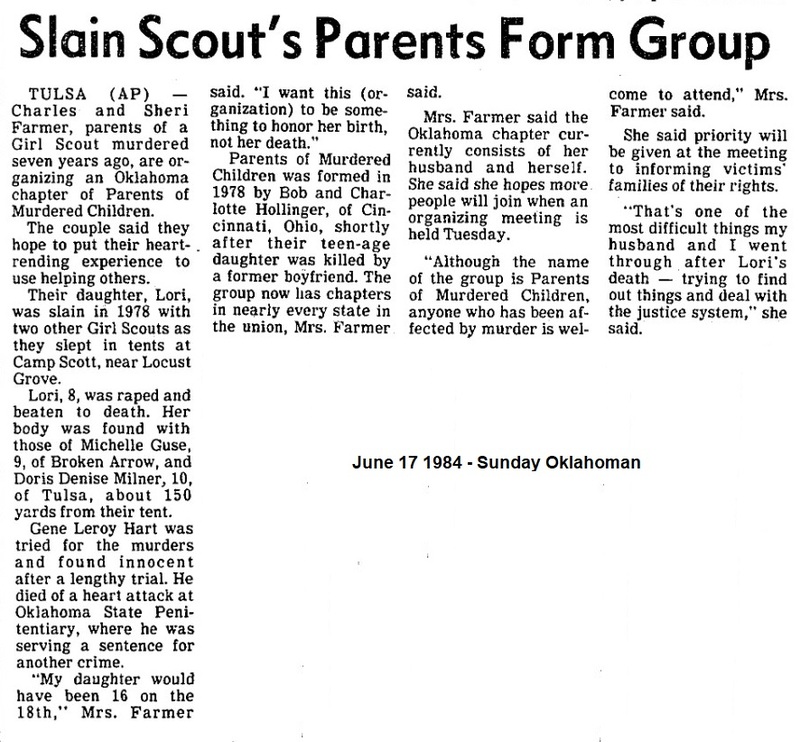 Charles and Sheri Farmer, parents of Lori Farmer, went on to found the Oklahoma chapter of Parents of Murdered Children 7 years after the murders.